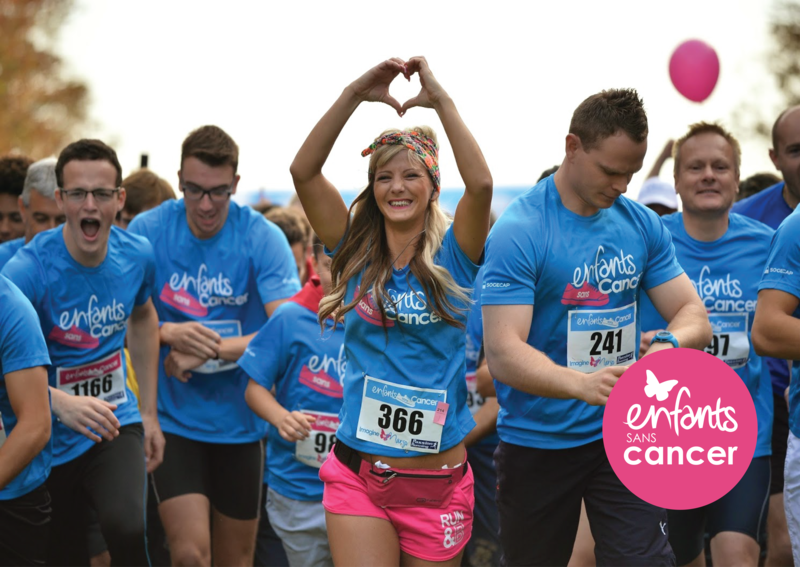 THE BIGGEST CHARITABLE RACE FOR A CAUSE IN FRANCE! For 7 years already and every year, we have been organizing the “Children without Cancer ” race, a sport event to help contribute to the financing of research programs on childhood and teenage cancer. This sports event has become a traditional event and so far has helped collect more than 7 million euros for research against cancer. Whether you are a sports aficionados or beginner, you can choose between a 5-kilometer track (walk or race) or a 10-kilometer race, alone or with a team: a lot of energy, emotion, joy and solidarity along a very animated and friendly itinerary. Racers, donators, volunteers, researchers, all participants are there to make this sport event an amazing day for the kids! Our main goal is to contribute to the developing of research on childhood cancer, by collecting funds and raise people’s awareness. Our race “Children without Cancer” is a perfect example. Even if the participants are race amateurs, their aim is to defend a cause dear to their hearts and to run with our godfather Christophe Dominici and researchers who have been fighting beside us since the beginning. 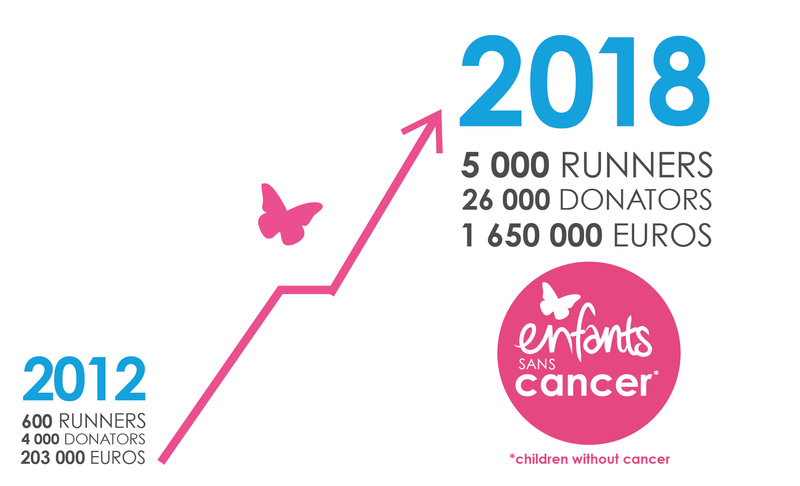 Since 2012, the race counts more and more participants and has become the biggest charitable race for a cause in France. RUNNING IS GOOD BUT RUNNING FOR A CAUSE IS EVEN BETTER! Every year, all donations to the “Children without Cancer” race are fully donated to research. 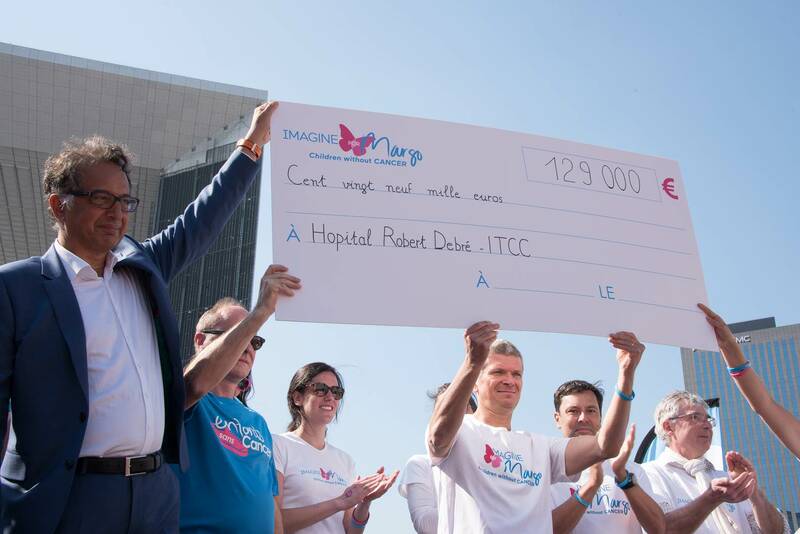 In 2018, the exceptional amount collected – 1.650.000 euros – has allowed us to finance three innovative programs in immunotherapy and BIG DATA: BEACON-IMMUNO, IMMUNO-LYMPHOMA and the ITCC* BIG DATA program. Before the race – the race – after the race – the photocall – the 360° photos and our dear volunteers. 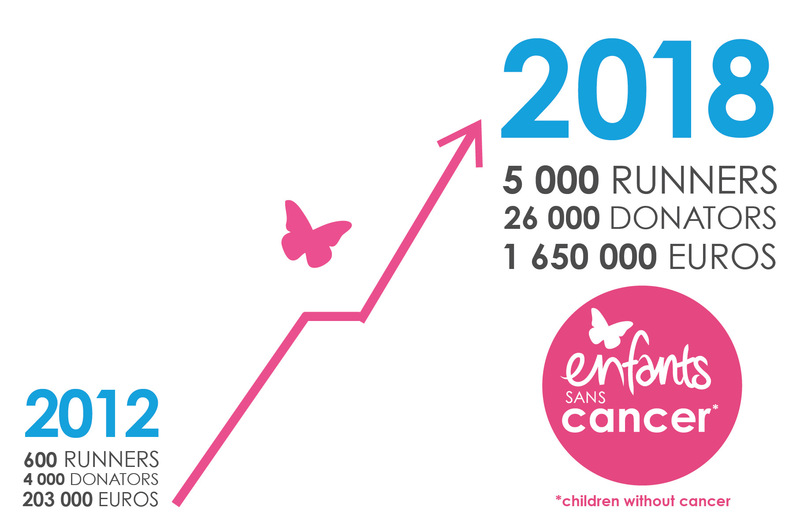 Find out more about the research programs that we have financed thanks to the funds collected by the Children without Cancer races since 2012. A new charitable race to help the research move forward quicker ! In May 2018, we organized the 1st edition of the Children without Cancer City race in Paris business center of La Defense. A great success that gathered more than 500 runners and more than 20 corporate partners. 129 000€ were raised to finance a research program run by Robert Debré Hospital in Paris : SELUDEX (on leukemia).